A number of well-known actors are multitalented, with interests and experiences in other creative areas. 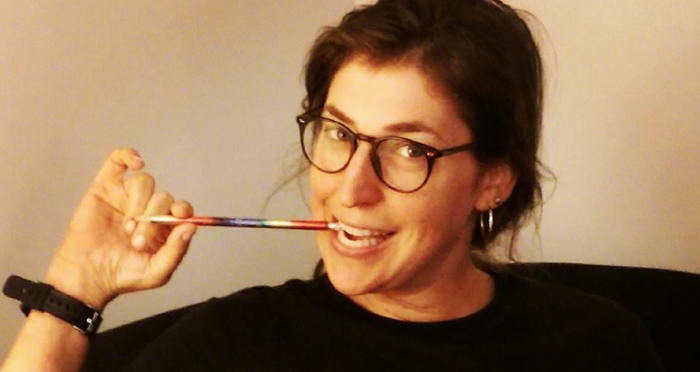 Actor Mayim Bialik earned a Ph.D. from UCLA in Neuroscience. On “The Big Bang Theory” TV series she plays Amy Farrah Fowler, a neurobiologist with a relationship with physicist Sheldon Cooper. “I hadn’t told him, because, well, where do you list that on your theatrical resume exactly?. So he tweaked the character’s profession. “He is enrolled in Yale University’s English PhD program and North Carolina’s Warren Wilson College for poetry. From article Picking their next role: Joe College or hot young star?, by Amy Kaufman, Los Angeles Times, June 12, 2011 – which also mentions Emma Watson, Blake Lively, Brad Pitt, Jodie Foster, Natalie Portman, James Franco, Shia LaBeouf and others. Speaking of his role in the television series ‘Freaks and Geeks,’ Franco said it echoed his own high school experience. “I was a little freak, a little geek. High school was a big party the first couple of years, but that gets old, so I broke away and just was a loner. From my post James Franco on being a loner. In his post “That’s DR. Winnie to you: A New Child Star Stereotype”, creativity researcher James C. Kaufman, Ph.D. writes about a number of people well-known as child stars, now grown, who have explored talents outside of acting. From my post Developing multiple talents – the pleasures of creative polymathy – includes Emma Watson, Viggo Mortensen and other multitalented creators. 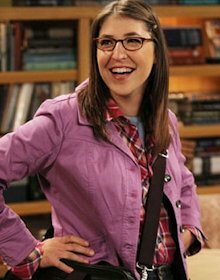 Is Amy Farrah Fowler a positive image of high ability? “Pop culture perpetuates two stereotypes of highly gifted people: the wisecracking whiz kid or the tortured genius. There is no grey area. Personally, I don’t agree there are simply two stereotypes. Amy Farrah Fowler and other characters on “The Big Bang Theory” are certainly extreme for the sake of comedy – and they are a lot of fun (although I have given up watching the show on account of the annoying laugh track). John Nash as portrayed in the movie, and the character Will Hunting are also extreme and uncommon. But all of them can point to some of the ‘uncommon’ personality qualities and giftedness traits that help distinguish high ability people – but which can also make it hard for many of us ‘outsider’ people to be relatable or even understood by those who are not so exceptional.